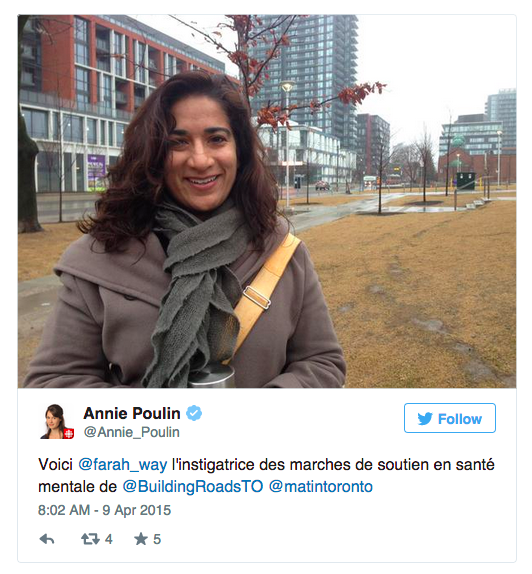 Building Roads Together was featured on Metro Morning on April 7, 2015. Listen here to Founder, Farah Mawani, sharing her story with Matt Galloway. 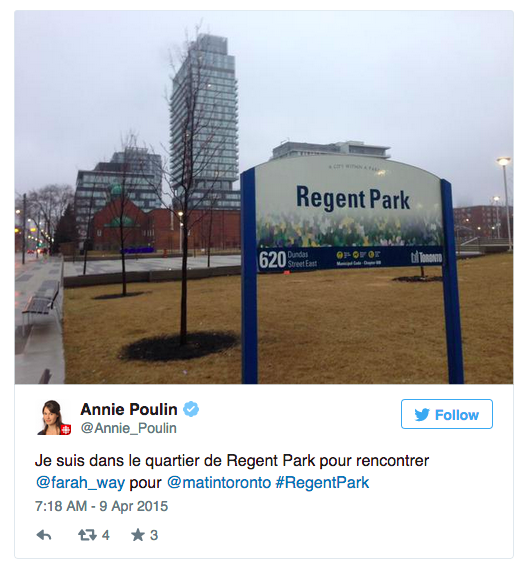 Annie Poulin, Radio Canada journalist, joined Farah to learn about the program while walking through Regent Park. Listen to the interview here, and the continuation here. See the Storify for a multi-media experience. 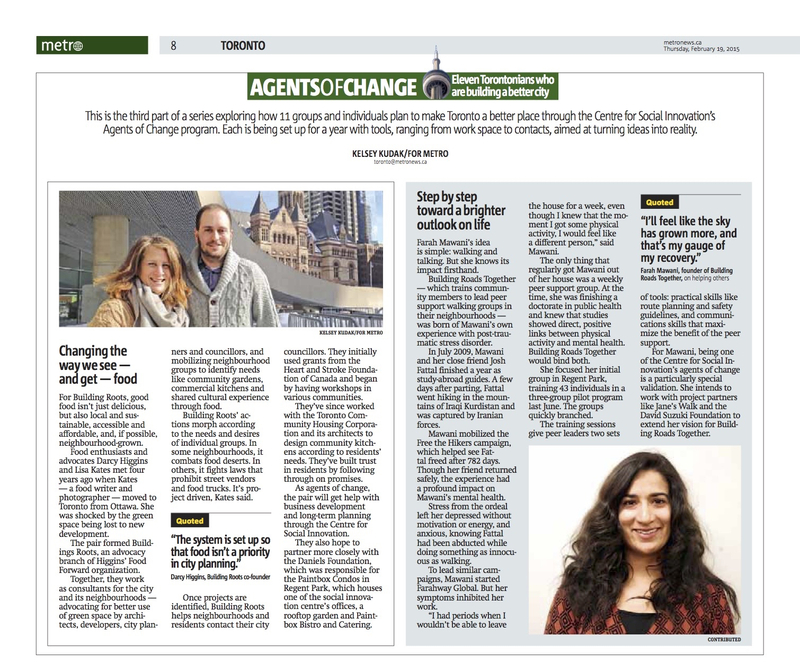 Building Roads Together was profiled in Metro News in a series featuring all eleven Centre for Social Innovation Agents of Change: City Builders. 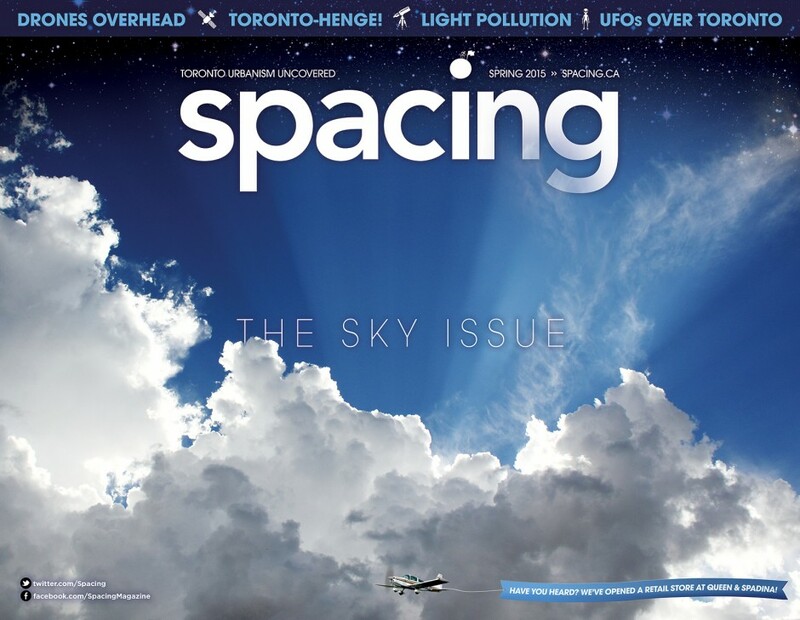 Building Roads Together is featured, along with our fellow Centre for Social Innovation Agents of Change, in the Spring 2015 “The Sky” issue. Order your issue here.